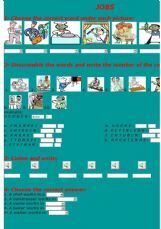 Your students will have the opportunity to practice the vocabulary about jobs and occupations. It has 4 different exercises. Identification of pictures, completion of sentences, matching statements, and a crossword. I hope you can use it. Thanks for you nice commends. Have Fun! 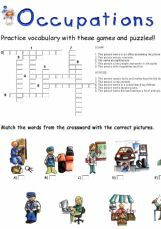 A crossword, a matching activity (pictures and words) and another activity in which students have to discover the hidden occupation following the clues. I hope you like it!! Some exercises to revise the names of some jobs. 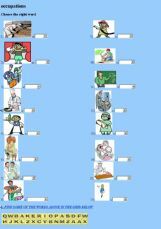 Vocabulary with pictures and pronunciation. ( listening ). Activities are included. This version of the old Sesame Street song, "Who are the People in Your Neighbourhood" is really fun! 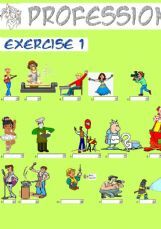 It serves as the starting point of simple exercises about jobs.